I ran out of time to get this posted yesterday. I was busy putting together my sheriff’s outfit for our guild’s Halloween party last night . . . no other excuse! 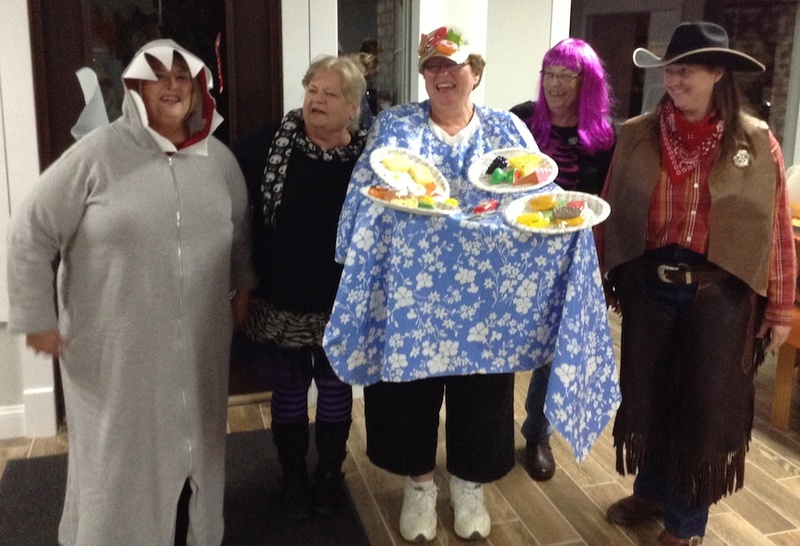 We sure had fun — I absolutely loved Stephanie’s shark costume, and Sandra dressed up as a picnic table and got first prize! What a hoot! But here we are now with Step 4. Only one more row to go after this, and then the final assembly. See how fast and easy this has been? 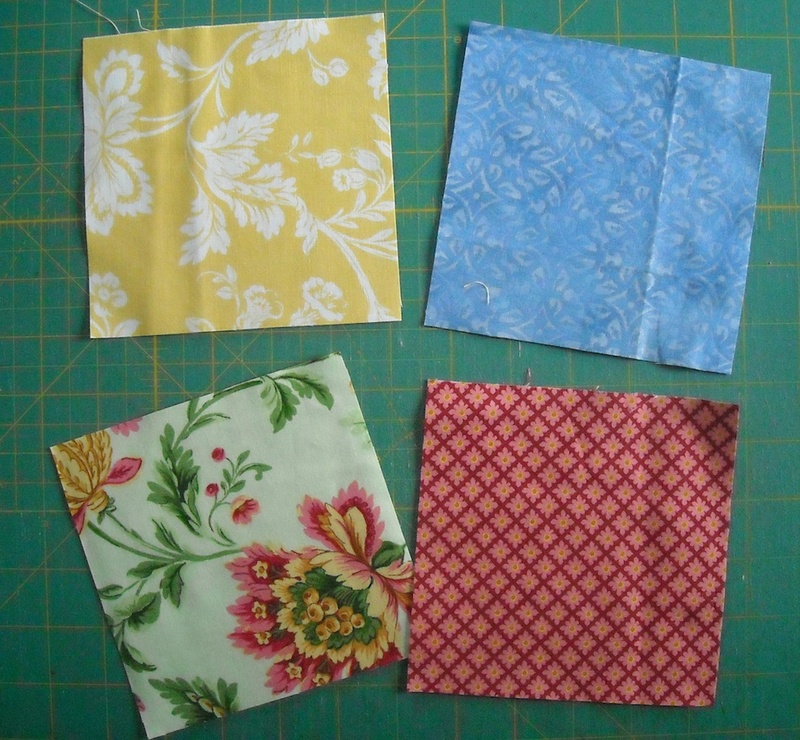 For Step 4, you need to cut 16 squares 5 1/4″ x 5 1/4″. 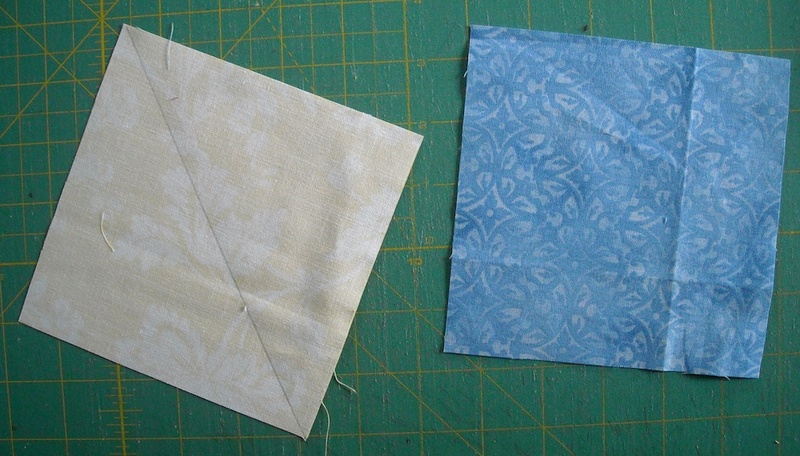 Match them up in pairs, and draw a diagonal line on the back side of the lightest one in each pair. As in the last step, match them up, right sides together, stitch on both sides of the drawn line, then cut them apart on the drawn line. Press them open, and trim off the dog ears. Each unit should measure 4 1/2″ square. 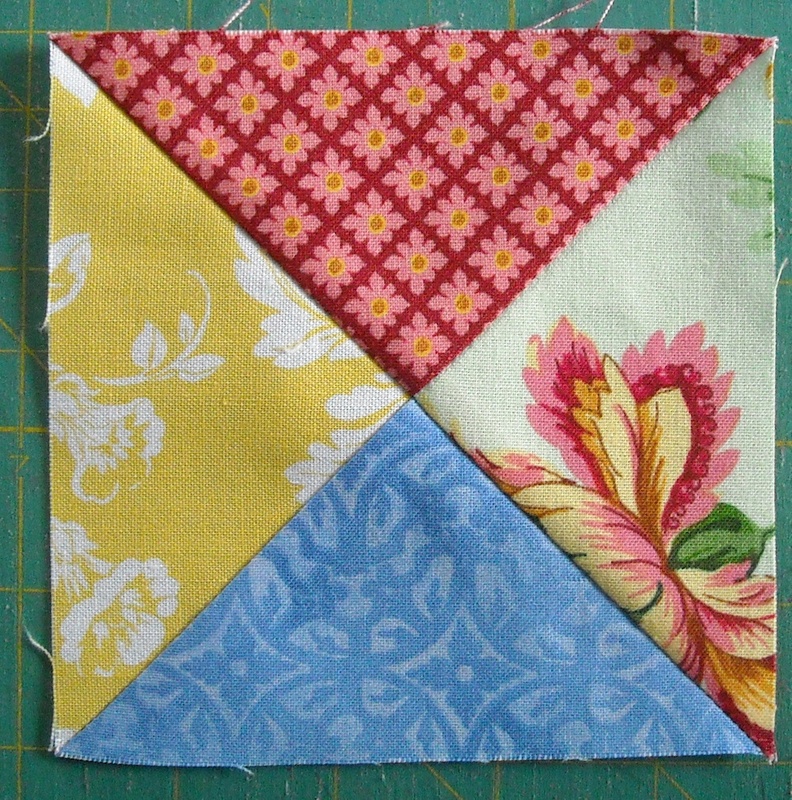 Make 16 of these (because that’s how many pieces you have), then set one aside because you only need 15. 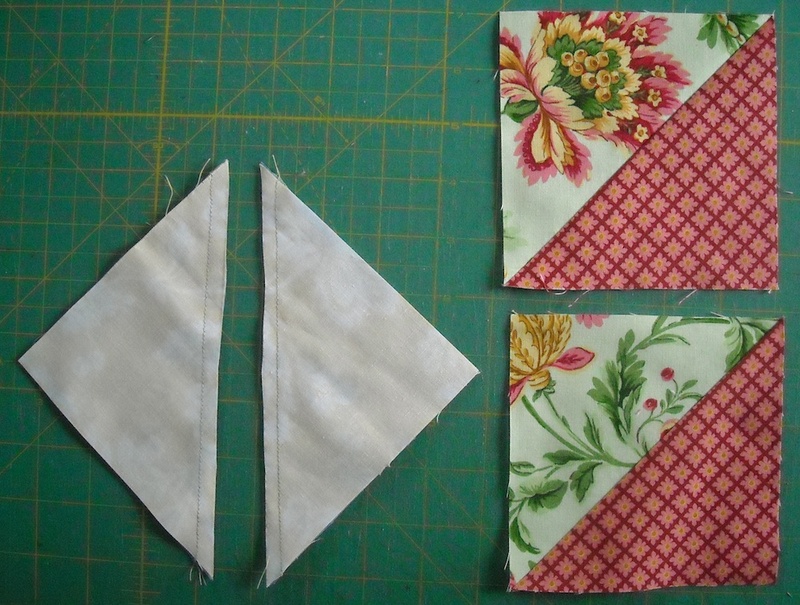 Sew the 15 units together into a long row. And that’s it for this step. I’ll be back Monday with the final row instructions, then we’ll be all ready for the final setting the next week. Have fun!